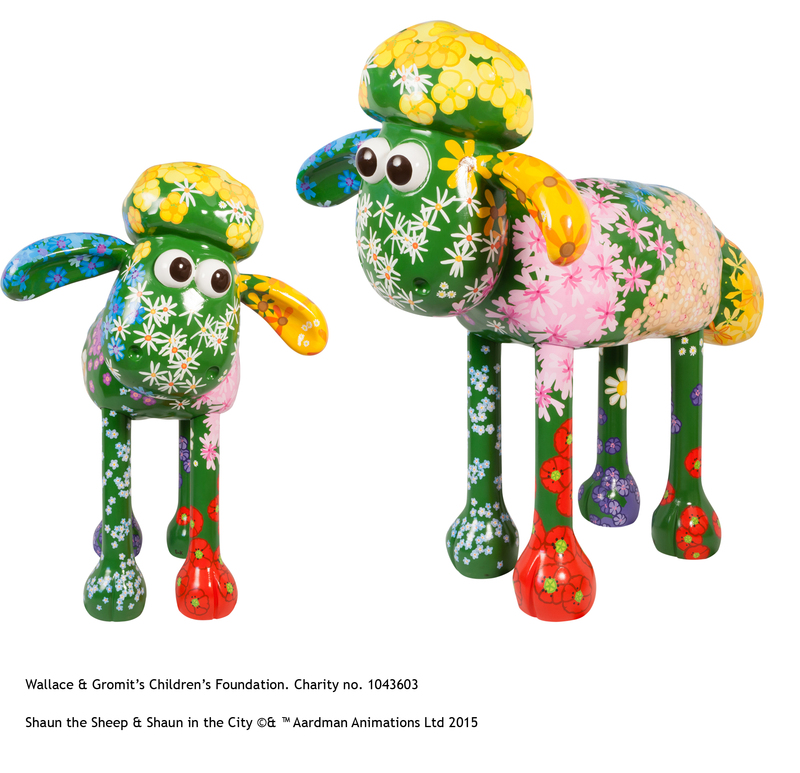 In 2015, Aardman’s internationally-acclaimed character Shaun the Sheep has been in two ewe-nique arts trails! 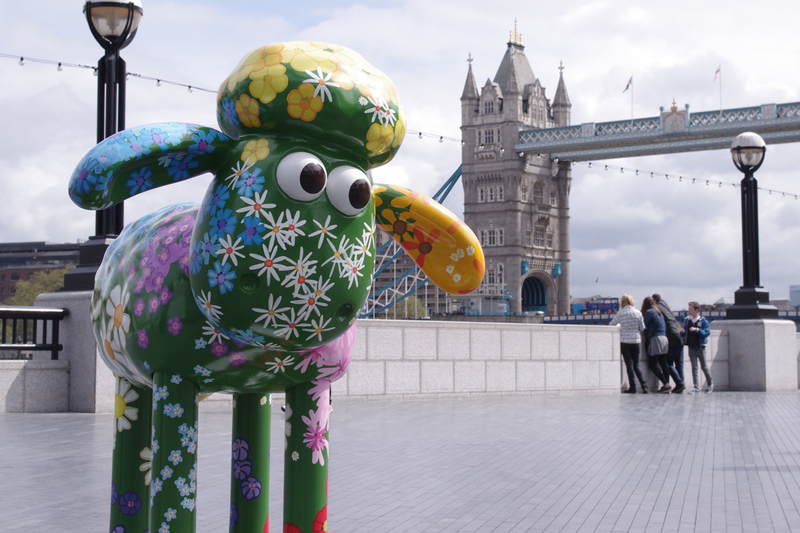 Over 100 giant sculptures of Shaun the Sheep created by artists, celebrities and designers went on show in iconic locations and beautiful green spaces across London and Bristol. 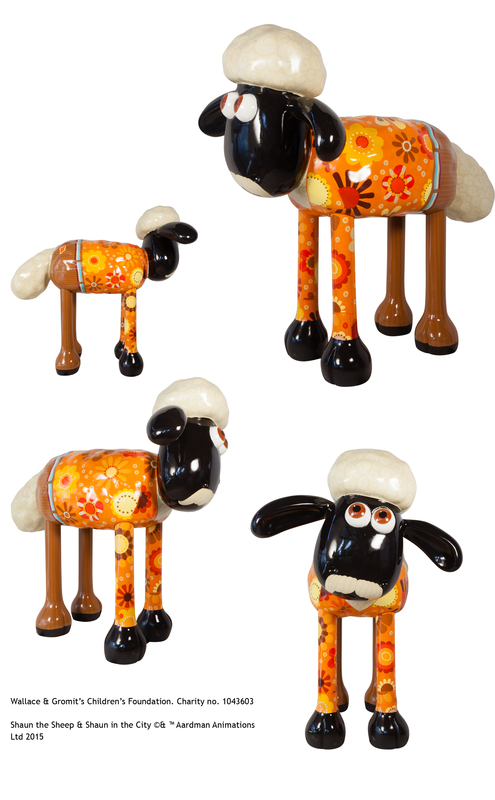 After the trails the Shauns were auctioned to raise money for children in hospitals across the UK. I was lucky enough to be asked to paint two Shauns – ‘Groovy Baby’ and ‘Petal’. ‘Groovy Baby’ spent the summer on Coldharbour Road in Bristol where he was beautifully looked after by the local traders who had sponsored him. The whole road was decorated with bunting, knitted sheep adorned the lamp posts, and visitors were provided with comfy hay bales to sit on whilst they chatted to Shaun – I couldn’t have asked for more wonderful sponsors! My Shaun ‘Petal’ was at More London, I couldn’t have wished for a better location! Here he is with the Tower of London in the background.